Have you ever noticed how few people over 50 have shiny, healthy hair hair you’d die for? There aren’t very many of them. Though it may be part of the natural aging process to lose some of your crowning glory, it’s not a natural process for it to lose its gleam and glow. This lack of life is almost always due not to aging but to the unhealthy practices of overwashing, blow drying, and using chemical products such as sprays, perms and gels. Health, natural hair care is basically a very simple undertaking. 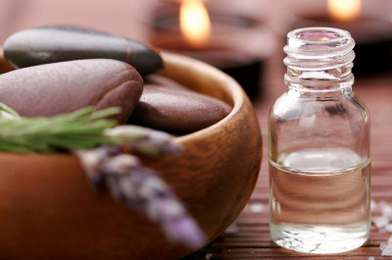 Here are some tips of how essential oils can help! Lavender: Normal hair. Scalp treatment for itchiness, dandruff, and even lice! Adapted from Rosemary Gladstar's Family Herbal, by Rosemary Gladstar. Copyright (c) 2001 by Rosemary Gladstar. Reprinted by permission of Storey Books. Adapted from Rosemary Gladstar's Family Herbal, by Rosemary Gladstar.